Harry D. Campbell�’42 died May 6, 2011, at the age of 97. Harry was born in Redondo Beach, Calif., in 1913 and attended Pasadena Junior College prior to coming to Colorado School of Mines. At Mines he excelled academically and played quarterback on the historic undefeated 1939 football team. After graduating from Mines in 1942 with a professional degree in petroleum engineering, Harry joined the Navy, serving with distinction during World War II as the commander of a minesweeper. Following the war, Harry began an illustrious 50-year career in the petroleum industry. From 1949 to 1965 he was president of Franco Western Oil. In 1965, Harry became general manager of exploration and production for the western division of Mobil Oil. In 1972 he established The Campbell Company to invest in oil and gas exploration. Harry had an avid lifelong interest in football, and in fact declined offers to play for the Philadelphia Eagles and the Detroit Lions when he graduated from Mines. He was inducted into Mines’ Athletic Hall of Fame in 2004. At the end of the 2007 season, Harry’s #48 jersey was retired by the Orediggers, a first in the school’s history. The new football field was named in his honor, with the groundbreaking ceremony for the Harry D. Campbell Football Field held on April 24, 2010. Harry was a fixture at Mines football games, attending his last game in the bitter cold in November 2010, cheering them on to a win. His heart was always with the Orediggers. Harry was a generous benefactor to his alma mater, investing his time, energy and resources to help ensure Mines’ tradition of strong academics and athletics. He established endowments in support of the football program, undergraduate scholarships and the Harry D. Campbell Endowed Chair in Petroleum Engineering. He also made major gifts to the John U. and Sharon L. Trefny Endowment for Curriculum Advancement, the Marquez Hall project, the Undefeated Champions of 1939 Scholarship Fund and the construction of Harry D. Campbell Football Field. Harry served as an honorary member of the Colorado School of Mines Foundation Board of Governors. His lifetime giving places him among the top 10 most generous donors who have ever contributed to the university. He is survived by his wife, Velia Ward Campbell, and his three children, Margaret Campbell and her husband Edward Johnson, Judith and her husband Gary Judd, and Duncan. Also surviving him are four grandchildren, two great-grandchildren, three nieces, four step-children and a step-grandson. 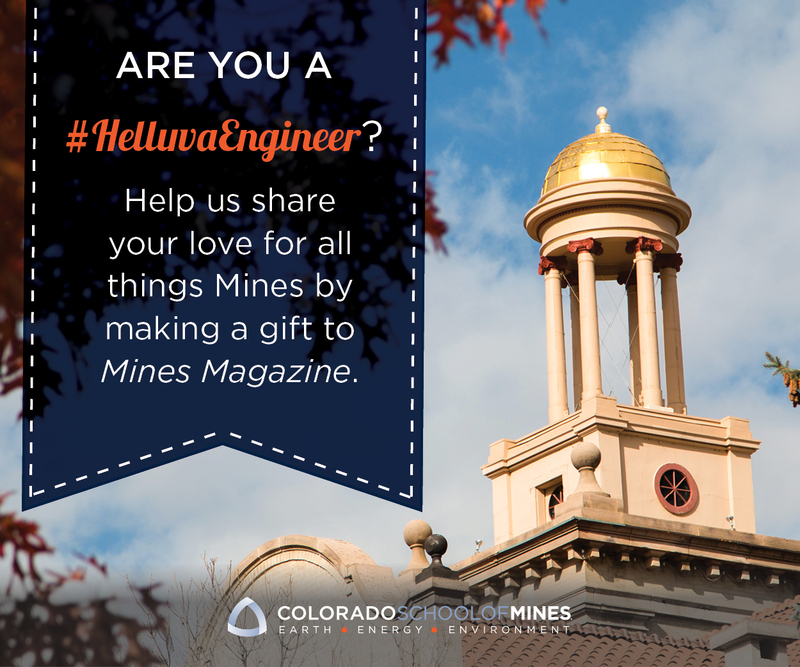 Harry’s commitment to and love for Colorado School of Mines were remarkable. As a loyal donor, dedicated volunteer and constant champion, Harry helped to build and sustain the school’s tradition of excellence.